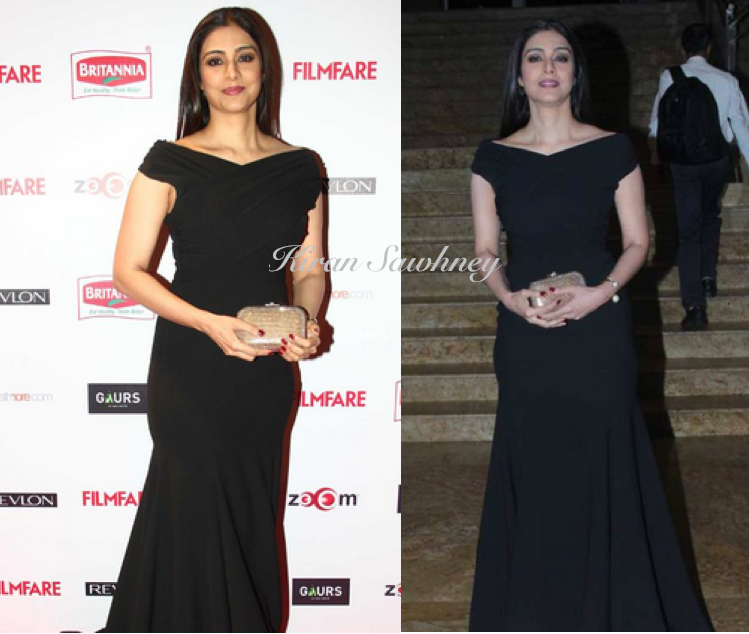 Tabu wore a black Gauri and Nainika gown with a Dior cuff. She carried a Judith Leiber clutch. We prefer this look of Tabu more than her AJSK heavy and tacky outfits. It suited her.